On 6 September 2016, a branch of Human Constanta, a Belarus-based human rights group, was opened in Brest to help refugees, mostly from Chechnya, waiting to be allowed entry into Poland. According to Vyacheslav Panasyuk of Human Constanta, since last summer, Poland has allowed about four families a day to cross the border, recently bringing this number down to one or two families a day. “About 300 people, approximately 40 families, are currently in Brest. Some of them have stayed here for 8 to 9 months and applied for refugee status 20 to 50 times, but failed,” says Panasyuk. Human rights activists help Chechens draw up application papers and urge Polish authorities to let these people in. How do Polish authorities refuse entry to refugees? According to Panasyuk, they write in rejection letters that the Chechens who attempt to cross the border have never really sought refugee status. “Usually, the applicant would say, ‘I was tortured, illegally arrested, beaten, subjected to physical violence, and I am going to Poland to seek refugee status’. Their rejection letters, however, say instead that the person ‘wished to become a programmer and to work in Poland, was going to visit a friend in Poznan’, which is total nonsense never really said by the applicants,” says Panasyuk in his interview to Legal Dialogue. According to Human Constanta, at least 60% of all asylum seekers now in Brest are eligible for refugee status. Panasyuk sums up the reasons why Chechens choose to flee to the West. “First, some may face a blood feud declared to the family. Second, there are women who are vulnerable and victims of domestic violence. And finally, there are victims of abuse by security forces. In Chechnya, one could face charges of complicity in terrorism just because they or a close relative took part in the first or second Chechen wars. Some people are victimised by the atmosphere of lawlessness created by the Chechen authorities, where a law enforcement officer can charge an innocent person with an unsolved crime just to get a promotion. And finally, there is religious oppression. Those who refuse to perform dhikr [a form of Suf] get labelled as Wahhabis and terrorists. According to Panasyuk, the Polish security services have also cooperated with the FSB. He says that in a few cases of asylum seekers deported from Poland, the content of their interviews, which were part of their asylum-seeking process, was communicated to FSB officers right there, at the Moscow airport. Chechens travel to Poland by train without European visas. “Residents of Chechnya, Ingushetia and Dagestan are massively denied Schengen visas, and they have no other choice,” says Panasyuk. Yet sometimes Chechens are issued European visas at the request of human rights activists and then travel to other European countries. Another option is to book a connecting flight to a visa-free country, such as Morocco, via a European country, get off at the connection (e.g. Paris) and ask for asylum. This is what one Chechen family did a few years ago. On the flight from Moscow to Paris, the Chechens got acquainted with Alexander B., a Russian-speaking Frenchman, and asked for his help with translation at the border. According to Chechen human rights activist Akhmed Gisayev granted asylum in Norway a few years ago, there are at least 8,000 and a maximum of 12,000 Chechen refugees in Norway (while no exact statistics have been published, the Norwegian Ministry of Internal Affairs shared these estimates with Gisayev). Norwegian psychologist Zoia Granes has been working with the Chechen diaspora since the first major inflow of refugees in the early 2000s. According to her, “recently, young women have been coming from Chechnya to marry refugees”, but there are no mass arrivals of Chechens. Those already in Norway tend to stay there. There have been a few deportations, which aroused public outrage. Protests were held in Oslo in January 2011 after 67 Chechens were deported2Anastasiya Kirilenko, “Norway Prepares Chechens for Seeing Their Homeland Again”, Radio Liberty, 04.03.2011 http://www.svoboda.org/a/2328071.html. As a result, this practice was discontinued. In 2011, there were three Chechen refugees among the youth in the summer camp on the Norwegian island of Utoeya. Two of them did not come out of the tent when called by terrorist Anders Breivik who posed as a “policeman”; they witnessed the shooting of other children and then tried to save the girls and even hurled rocks at the terrorist3Anastasia Kirilenko, “Chechen Teen Recounts Attempts to Disarm Utoeya Gunman”, Radio Liberty, 17.08.2011, http://www.rferl.org/a/chechen_teen_recounts_attempts_to_disarm_utoeya_gunman/24299801.html. Later the teenagers explained that their experience in Chechnya had helped them survive, as their parents had taught them never to trust the police. In contrast, the Norwegian children who had a totally different life experience became easy targets for the “policeman”. Granes notes that the Norwegian press is no longer interested in what is going on in Chechnya. “As a result, local authorities see no reason to grant refugee status to new applicants,” agrees Chechen human rights activist Ahmed Gisayev, granted asylum in Oslo several years ago. An anonymous column published in October 2016 in The Guardian offers an accurate description of the situation4“Chechen journalists, international journalists – Ramzan Kadyrov has silenced us all”, 10.10.2016, https://www.theguardian.com/world/2016/oct/10/chechnya-no-longer-help-foreign-journalists-ramzan-kadyrov. The column refers to the fact that foreign journalists in Chechnya need to rely on local assistants who, in turn, risk their lives helping them. News editors are increasingly unwilling to take on this risk. The widely discussed 2015 film by Manon Loizeau (ARTE) Chechnya: a War without Trace about the continuing practice of torture and abductions in Chechnya5Oliver Milot “Regardez Tchétchénie, une guerre sans traces, de Manon Loizeau”, Telerama.fr, 28.02.2015, http://television.telerama.fr/television/le-nouveau-documentaire-de-manon-loizeau-en-avant-premiere-sur-telerama-fr,123247.php; “Tchétchénie, une guerre sans traces”, ARTE, 3.03.2015 http://pro.arte.tv/archives/20329 has been virtually the only recent report available on the issue. Die Welt reports an increase in the number of asylum requests from Chechnya, reaching 800 every month in 201610Manuel Bewarder, Florian Flade, Julia Smirnova, “Immer mehr Tschetschenen kommen – steckt Putin dahinter?” Die Welt, 29.05.2016 https://www.welt.de/politik/deutschland/article155788218/Immer-mehr-Tschetschenen-kommen-steckt-Putin-dahinter.html. For comparison, there were in total 1,689 applications during the whole of 2011. Austria has of the largest Chechen diasporas. It was in Vienna in 2009 that the Chechen refugee Umar Israilov was killed. On 1 June 2011, a court found Otto Kaltenbrunner (nee Ramzan Edilov) guilty of the murder and sentenced him to life11The person accused of murder of Umar Israilov sentenced to life imprisonment 02.06.2011 http://www.kavkaz-uzel.eu/articles/ 186500/. Since then, Chechen names in crime reports have particularly attracted the interest of the local media12Two Chechens detained in Austria face deportation, Caucasian Knot, 08.02.2017, http://www.kavkaz-uzel.eu/articles/297346/. In his application to the European Court of Human Rights, Umar Israilov had accused Ramzan Kadyrov personally of torturing him. However, this story only served to set up public opinion in Austria against the Chechens. Another problem appears to be the Europeans’ cooperation, in their fight against the Islamic State, with the Russian security services that consider many Chechen refugees “implicated in terrorism”, i.e. rebels’ relatives. Human rights activist Akhmed Gisayev believes that Norway and other European countries started to listen to the FSB in 2013, when they “integrated their databases on terrorists as part of their fight against the Islamic State”. On 22 February 2017 in Vienna, following a tip-off from local residents, more than 20 Chechens were arrested. At first they were suspected of involvement in terrorism and then of being part of criminal gangs, but eventually all of them were released because of insufficient evidence. The far-right Austrian Freedom Party attempted to exploit the scandal for political ends. “Criminals can walk free in this country,” tweeted Austrian Freedom Party leader Heinz-Christian Strache13https://twitter.com/HCStracheFP/status/827848423344918528. Interestingly, Johann Gudenus, head of the AFP Vienna branch, had previously met and photographed Ramzan Kadyrov in Grozny, unafraid of potential risks to his reputation14Diana Kachalova, Traveling Circus, Novaya Gazeta in St. Petersburg, 14 September 2014, http:// novayagazeta.spb.ru/articles /9097/. According to Novaya Gazeta in Petersburg, during their meeting in 2014, they discussed plans of returning Chechen refugees from Austria to their homeland. Problems have recently been reported in France – a country hosting at least 10,000 refugees from Chechnya. On 12 April, a Chechen refugee named Vakha D. (surname known to the editorial staff) was arrested in Limeil-Brévannes, a suburb southeast of Paris. He was detained at 6am, and his family members are unaware of either the reasons for his arrest or his current status as a detainee. Members of the Chechen diaspora protested against his arrest in the Republic Square in Paris three times, including on 22 April 201715https://www.facebook.com/NebyKhazman/videos/1681477118536164/?notif_t=live_video&notif_id=1492878999549046. Apparently, the man risks having his refugee status withdrawn, followed by his expulsion. Earlier, the Office for Refugees (OFPRA) withdrew the refugee status of another Chechen. Having investigated the case, La Cimade, a French volunteer-based non-profit that helps migrants and refugees16http://www.lacimade.org/ found that the French authorities acted on information received from the FSB that the refugee had travelled to Turkey in 2013, presumably indicating his contacts with the Islamic State. The Chechen appealed the withdrawal of his refugee status in the National Court of Asylum (Cour Nationale du droit d’Asile) and provided evidence that he had not visited Turkey and never joined the Islamic State. At the moment, he is waiting for his appeal decision. Based on the OFRPA data, 13,881 Russian citizens had been granted asylum in France by 2015. “At least 10,000 of them are Chechens. Double this number to account for minor children living with their parents,” an OPFRA officer said anonymously to a Caucasian Knot correspondent17Brother of a “Primorye Guerrilla” and Former Serviceman in Chechnya Appeals Denial of Political Asylum in France, Caucasian Knot, 10.03.2017 http://www.kavkaz-uzel.eu/articles/298981/. In 2015, French security agents arrested Hazman Umarova, a female Chechen journalist who had lived in France for many years, and detained her for two days following an anti-terrorism tip-off. This happened soon after the Charlie Hébdo attack, and some French mass media learned that the authorities were checking into possible links between the terrorists and Chechens. The search and questioning did not reveal any such links, and the journalist was released18Anastasiya Kililenko, Responsible for Everything, Radio Liberty, 08.03.15, http://www.svoboda.org/a/26887997.html. 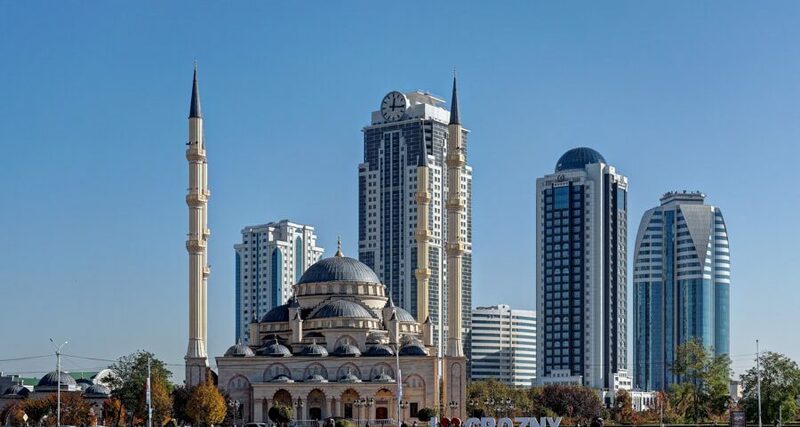 By various estimates, some 150,000 people from Chechnya currently live in Europe – the number quoted by Smartnews, among others. In 2010, a programm was announced to help refugees return to their homeland. According to Smartnews, some 400 Chechens had used this opportunity by 201319http://smartnews.ru/regions/sevkav/5388.html. In addition, bus tours from Grozny to Paris and Belgium and back are advertised, and some European Chechens legally visit their homeland while keeping their residence in Europe.